In Roswell and throughout southeastern New Mexico, the Grandjean Law Firm brings proven skills and personal service to solutions for your legal issues. Attorney Jeff Grandjean's legal knowledge and versatility are reflected in his fields of expertise — practice areas that include family law, personal injury and criminal defense. 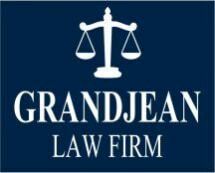 As your lawyer, Mr. Grandjean aggressively protects your rights, in and out of the courtroom, when the decision to divorce, serious injury suffered in an accident or a serious criminal charge interrupts your life. His sound guidance and solid support can make a positive difference with family law problems such as contested or high-asset divorce; legal action that must be pursued against a negligent motorist; and criminal defense strategies when police and prosecutors overstep their bunds. Whatever your situation, regardless of your goals, you receive utmost personal attention, start to finish. Jeff Grandjean forges durable, lasting relationships with his clients, based on trust and confidence in his abilities to safeguard your interests. To discuss your important family law issues, injury in a car accident or recent arrest, contact us. Your free initial consultation with Jeff Grandjean is as close as your phone or email.